A report by the United States Department of Labor revealed that work-related eye injuries cost more than $300 million every year in the form of medical expenses, loss of production time, and workers’ compensation. Moreover, The National Institute for Occupational Safety and Health (NIOSH) concluded that each day around 2,000 U.S workers suffer from a work-related eye injury. Most of these injuries may include simple eye strain or temporary damage. However, in some cases they can result in a severe trauma, which can consequently result in blindness or vision loss. 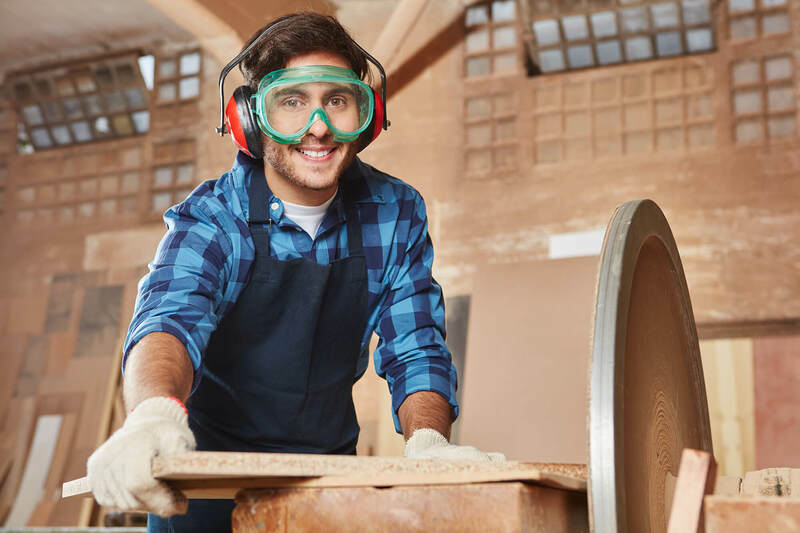 Eye specialists and safety professionals believe that wearing protective eye gear can drastically reduce the probability of eye injuries in the workplace. Therefore, employers must take adequate measures and follow OSHA workplace safety guidelines to ensure that their workers’ vision remains protected. How do Workers Injure Their Eyes? Computers: The excessive use of a computer can put heavy strain on the eyes, which can potentially damage their eyes. Harmful Exposure: A worker dealing with harmful substances or exposed to dangerous rays or lasers is vulnerable to get an eye injury. Products: Using work equipment such as razors, saws, or knives can also cause eye damage as any material can fly into the worker’s eye causing an injury. How can an employer protect their worker’s vision? An employer must devise a comprehensive risk management solution and leverage engineering controls to reduce the likelihood of eye related injuries and protect their workers from exposure to ocular infection. Moreover, a hazard assessment can be conducted to determine a suitable type of eye safety equipment required for each task. Each employee must be provided with personal protective gear for their eyes such as safety glasses, face shields, or goggles. The safety eyewear must be adjustable and properly fit an employee. Furthermore, it must also allow for adequate peripheral vision and feel comfortable during work. The employer must also ensure that eye protective gear is OSHA-compliant and should meet standards set by the American National Standards Institute (ANSI). In case an eye injury has occurred at a workplace, the worker must be rushed immediately to an emergency room as delaying medical treatment can result in permanent loss of vision. If you want to find out more about how you can protect your worker’s vision or wish to find more risk management solutions, contact Suburban Insurance by calling at (630) 325-4000.